A shul is more than just a synagogue. A shul which is Yiddish for a place of prayer and study, is a home for any jew looking for a warm and spiritual place to grow. At Chabad of Brandon, everybody's welcome. Come when you want, leave when you want. Bring the whole gang. Treat your soul to something special. With a "come as you are" attitude, you'll feel right at home. No matter where live, work or study, if you are looking for a place to express your soul, this shul's for you. There are no judgements and expectations. You don't even have to read Hebrew. Our Hebrew/English prayer books are user friendly, and during services, page numbers are called regularly so even a novice attendee will feel at ease. Walking into our shul, the first thing you will notice is the people. There are Jews from all walks of life, from all backgrounds and affiliations. You will see smiles, hugs and warm handshakes as people greet each other in a uniquely intimate and relaxed setting. At every service you will find families, singles, seniors and children. People come to our shul because of the sense of community and Jewish warmth they feel here. Following all services, there is a delicious Kiddush (oneg). At the Kiddush there is lots of discussion, lively singing and food. There is no charge to come to Chabad of Brandon. Feel free to come as often as you'd like. You're already a member. We all are. A Jew is a Jew. Period. We are one people; we have one Torah, and we have one G‑d. Chabad of Brandon endeavors to bring unity to the Jewish Community through our common bond of Jewish faith and observance. At Chabad of Brandon we don't label ourselves, and we don't label others. We're just Jewish. WHEN: Every Shabbos (Saturday) morning at 10:00 AM. 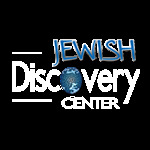 WHERE: Chabad Jewish Discovery Center 1578 Bloomingdale Ave, Valrico.